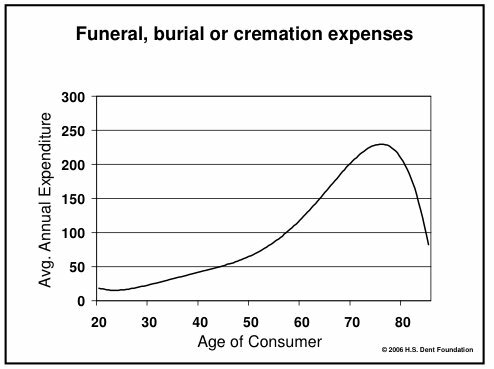 It's that time of year again when Americans spend like crazy for their loved ones and themselves. 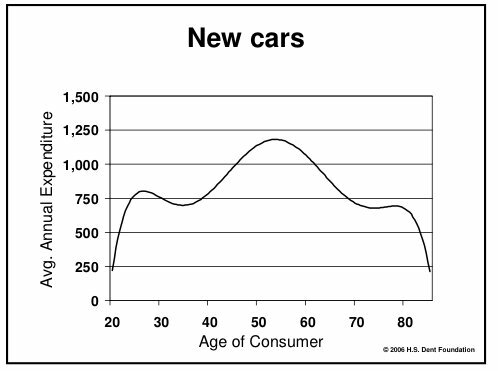 But everyone's needs and wants evolve dramatically with age. 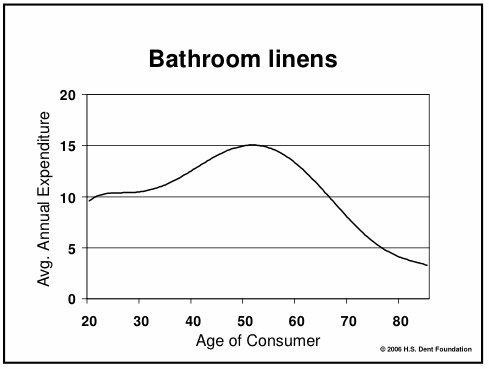 HS Dent, an economic forecasting firm, compiled Census data on spending behavior and presented them as a series of demand curves (see right). 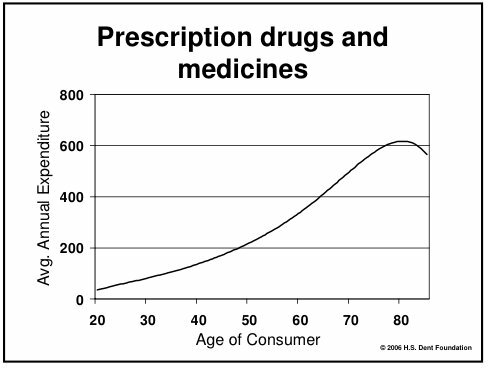 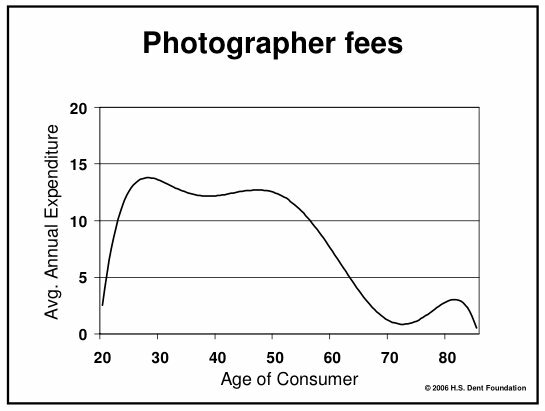 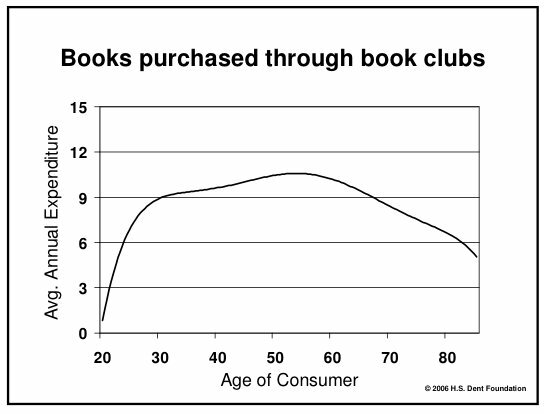 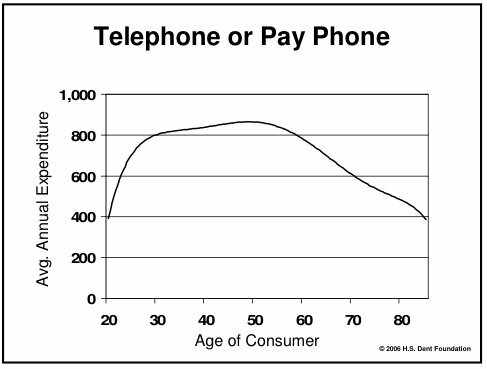 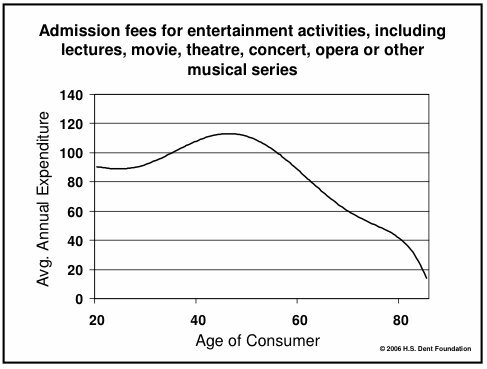 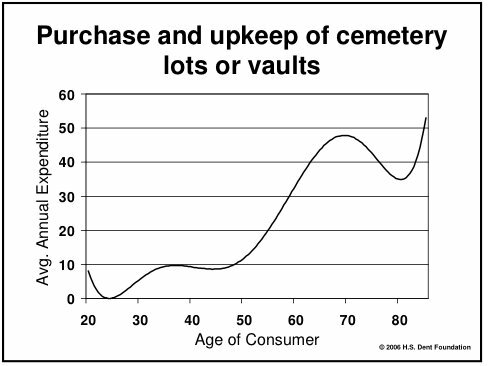 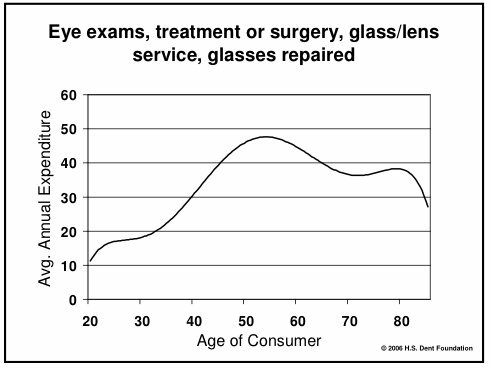 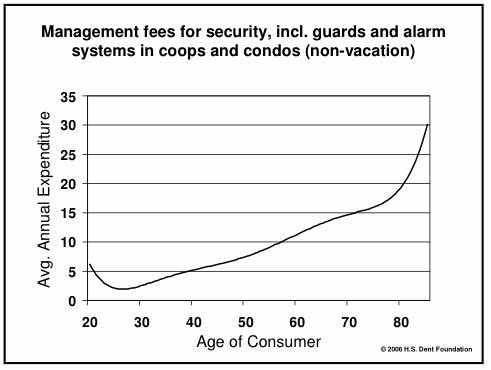 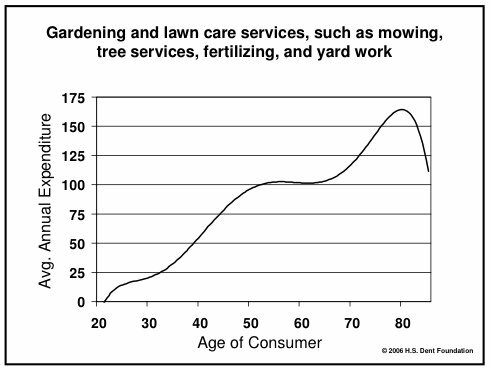 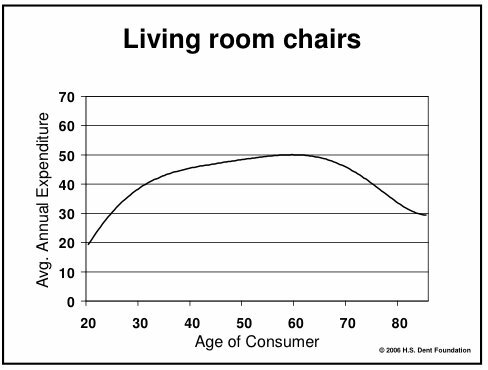 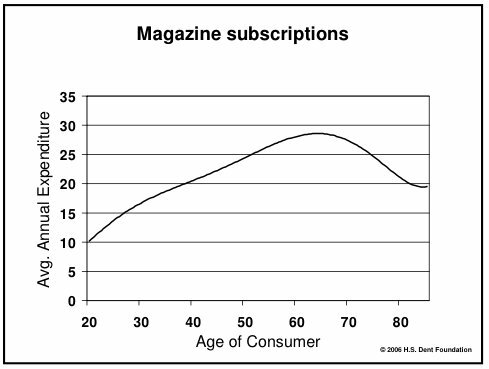 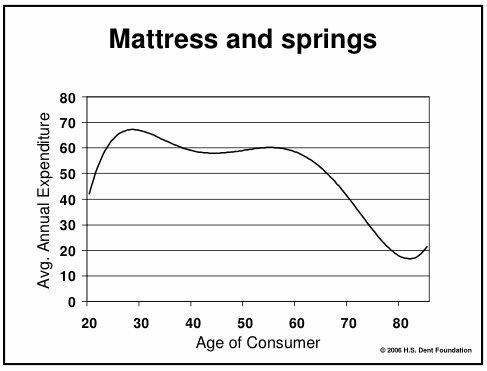 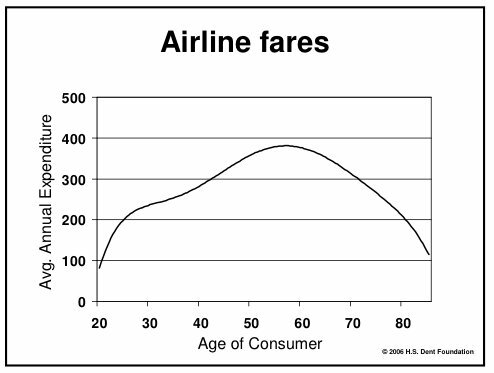 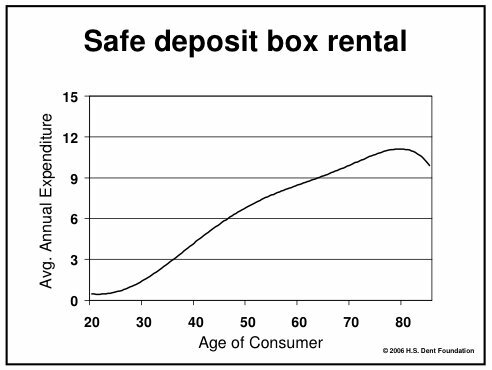 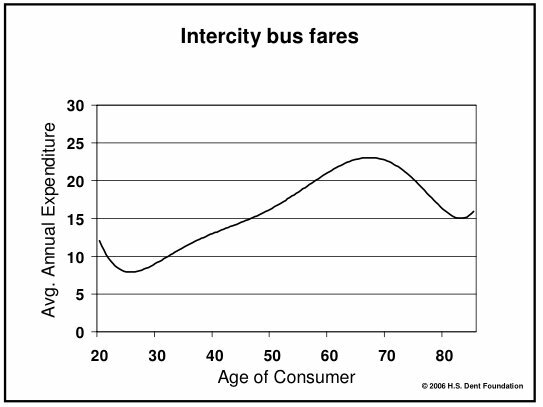 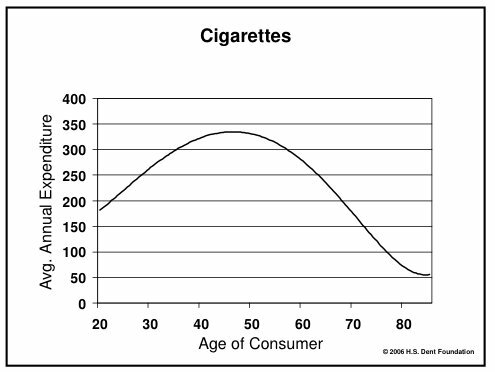 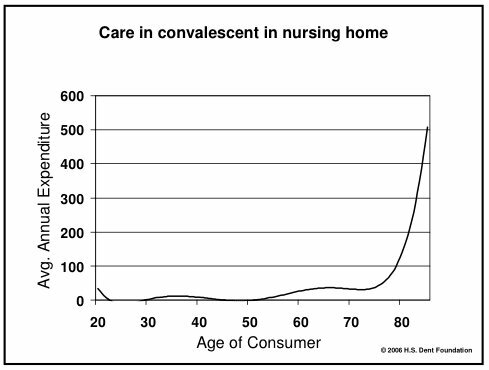 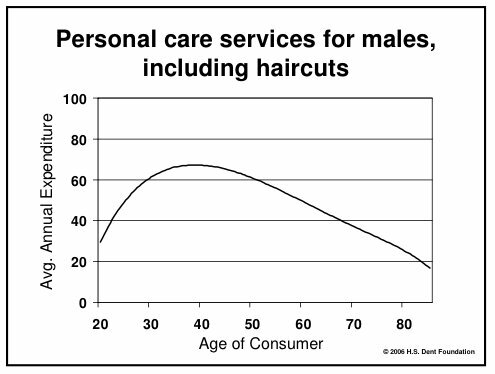 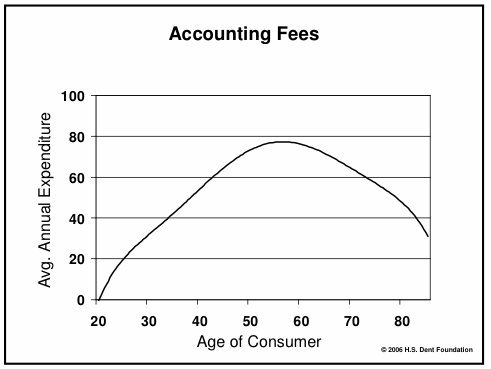 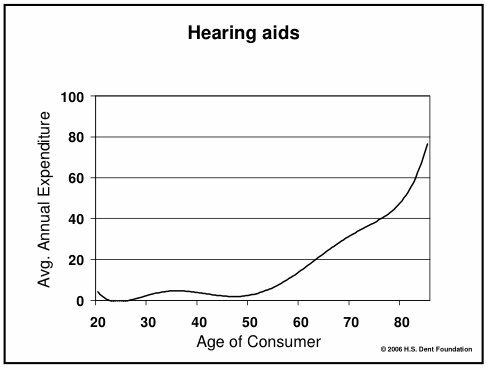 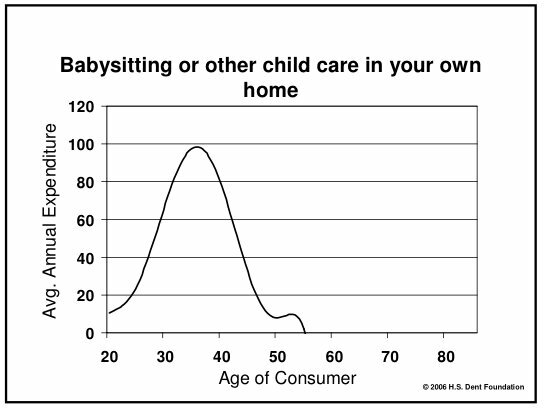 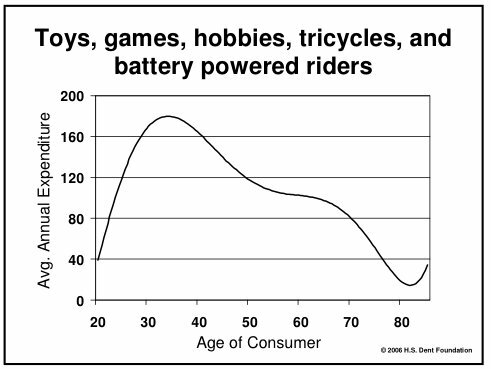 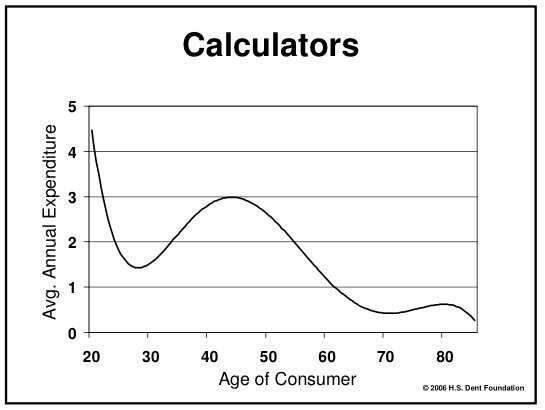 The curves measure average annual expenditure for a given product over the age of the consumer. 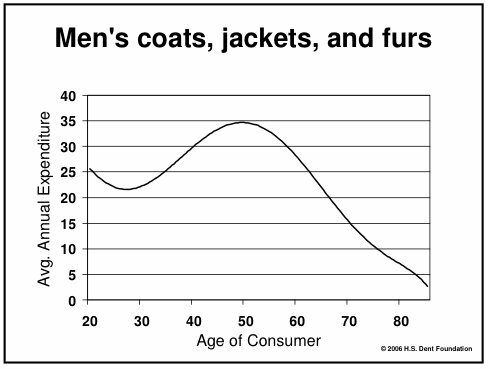 The charts couldn't be more plain. 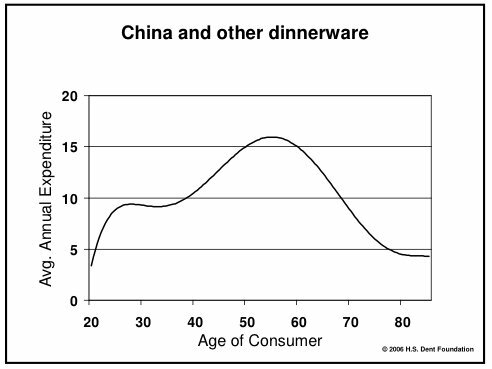 But with a tiny bit of imagination, the curves offer a vivid look at how spending patterns change over time. 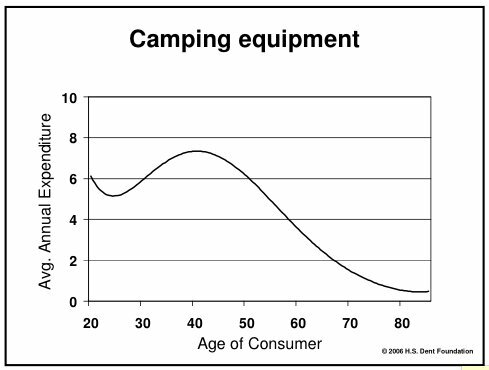 What are some things we learned? 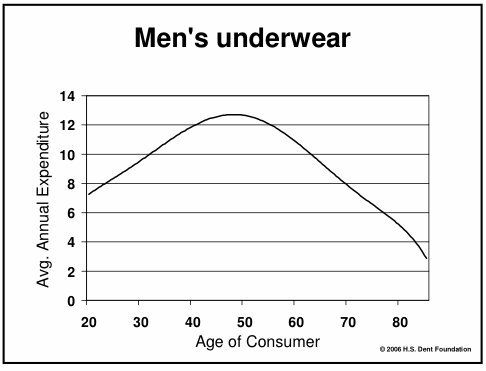 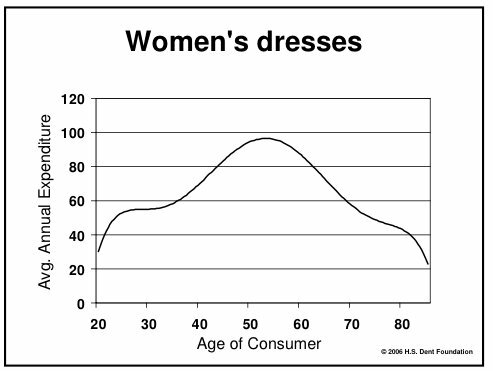 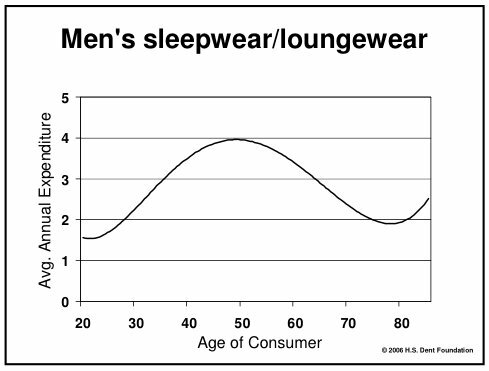 Well, men spend less on underwear as they get old, but spending on robes spike near the end of life. 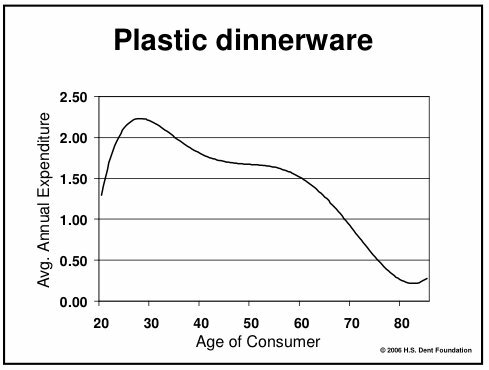 As we get older we use a lot less plastic cutlery. 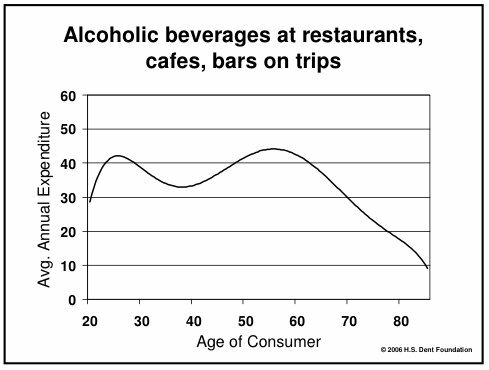 And alcohol consumption stays pretty steady from the day we turn 21 until we turn around 70. 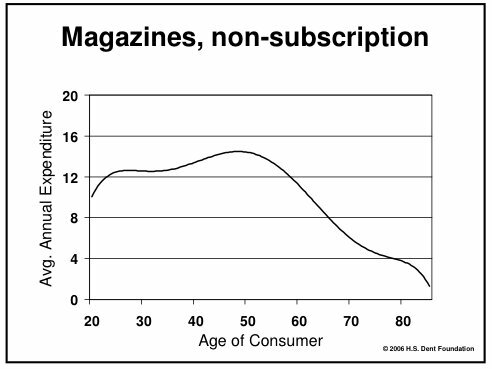 Sam Ro is the editor of Money Game at Business Insider.